Rapper and Tidal entrepreneur Apple Jay Z has taken the step of removing his Blueprint albums from the majority of non-Tidal music services, including Apple Music and iTunes. The disappearance also covers other services including Google Play, Rhapsody, Amazon, and Spotify. A notable exception is Pandora, where the albums are still available. When asked for a comment, an Apple Music spokesperson directed the website Pitchfork to Jay’s Roc Nation label. This isn’t the first time the “99 Problems” artist has removed his music from streaming services. 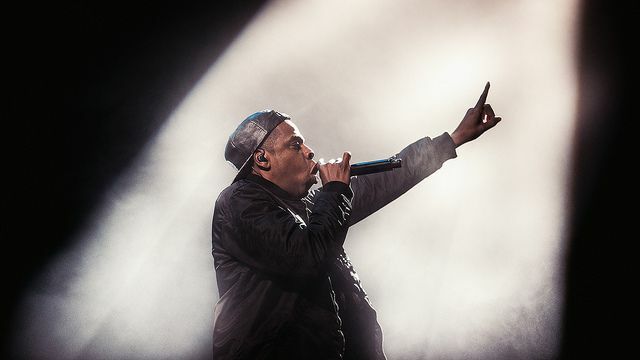 Last April, he removed his 1996 debut album Reasonable Doubt from Spotify, but it is only recently that the Blueprint album trilogy has also followed suit. Jay Z has been taking shots at other rival services since launching Tidal. In a freestyle rap he delivered in May last year, Jay Z attacked Apple (among other companies) by rapping that, “You bought nine iPhones, and Steve Jobs is rich. [Nike’s] Phil Knight worth trillions, you still bought those kicks. Spotify is $9 million, they ain’t say s**t.” In the same rhyme, he implied that there was a racial motivation for attacks on Tidal. It sounds like there’s a fair mixture of pride, bad blood and (as you would expect) ego involved in the Apple vs. Tidal battle. According to Jay Z, Beats boss Jimmy Iovine offered him a “safety net” before the launch of Apple Music — only for Jay to go it alone. Robert Kondrk, vice president of iTunes Content, allegedly told executives at Universal Music Group that Tidal artists who put out exclusive music on Jay Z’s service won’t be promoted as featured artists on iTunes. Recently there have been rumors that Apple rival Samsung may acquire Tidal, which would make sense given Jay Z’s history with the South Korean tech company. Ironically, while Jay pulls his albums off Apple Music, his wife has done incredibly well by Cupertino. Beyonce’s fifth album, BEYONCÉ, was launched exclusively on iTunes in late 2013 and sold an ungodly 828,773 albums sold in its first three days alone. Let’s hope she doesn’t wear her 18-karat Apple Watch Edition around the house too often to remind her hubby of all money he’s thrown away by doing this.